Mr. Winderboer is the Deputy Head Corporate Banking & Financial Institutions and Trade Finance at China Construction Bank Corporation (“CCB”), in Johannesburg. 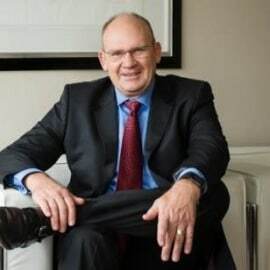 Mr. Winterboer manages team of bankers and a portfolio of South African and Chinese Clients in the Corporate (spanning various industries), State Owned Corporations and Financial Institutions arena in Sub-Saharan Africa. Leon originally started his career at the Standard Bank Group in 1988, where he held various positions in Risk, Public Finance, Project and Structured Finance and Corporate and Investment Banking. He is a well-rounded banker with experience in dealing with numerous industries and areas of banking. Mr. Winterboer is also co-authored, with his wife Wanda, a book titled “Embracing Retrenchment”, which serve to assist individuals in dealing with the after-effects of retrenchment.